Sony's New WhiteMagic Display Technology Adds A Fourth White Pixel To LCD Displays | OhGizmo! By Andrew Liszewski on 08/10/11 • Leave a comment! I’m not sure if referring to your company’s new display technology as ‘magic’ is the best approach. It makes me envision Sony’s R&D department as a bunch of wizards in the basement of a castle, flailing their wands about, trying to conjure up new gear and technologies. But that’s exactly what the company has done with their new ‘WhiteMagic’ LCD display technology which in essence adds a white pixel to the standard red, blue and green mix. 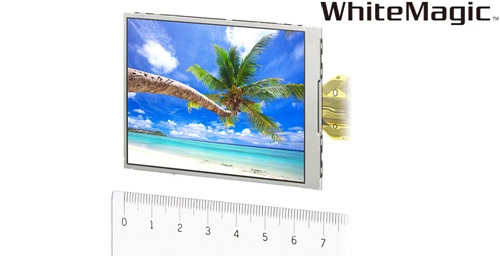 Resulting in a new RGBW TFT LCD display. In the past, adding another neutral pixel to this mix would result in image quality being degraded. But the real innovation here is a new signal processing algorithm, developed by the company, which analyzes the image data and makes suitable adjustments to remedy the problem. What you’re left with is a 3-inch VGA res display which reduces the power consumption of the backlight by 50%, while keeping it as visibly bright as a standard RGB LCD. It also facilitates a display that’s twice as bright as today’s LCDs, while using the same amount of power, making them easier to see outdoors in bright sunlight.